Why, oh, why did I choose to test Rescue Roby FULL FREE? Well, I thought it sounded kind of interesting and just decided to go for it. Yup, sometimes it can be as simply as that. Help the little robot Roby safely reach the other side of a scrap metal bin and brace yourselves for a quirky adventure. Picture a factory that mass produces robots. Every robot on the production line is controlled and, if deemed good enough, packaged and sent off. Production is going well and there haven't been any hiccups along the way—until Roby came along, that is. He starts bouncing around all by himself, leading him to be deemed as faulty and condemned to a scrap metal bin. Anyway, Roby is not the kind of robot to sit back and take this kind of insult. His plan is to get on out of there, and you can help him escape by moving the boxes and crates blocking the way. To do so, simply tap them. 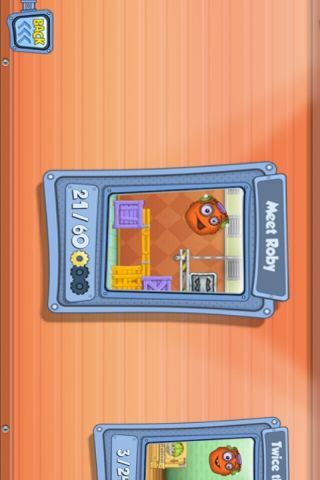 Roby can collect stars along the way to up his score. The higher the level, the higher the challenge. While a lot of the boxes will simply vanish when you tap them, there are also a few indestructible ones thrown into the mix. This calls for thinking around corners. 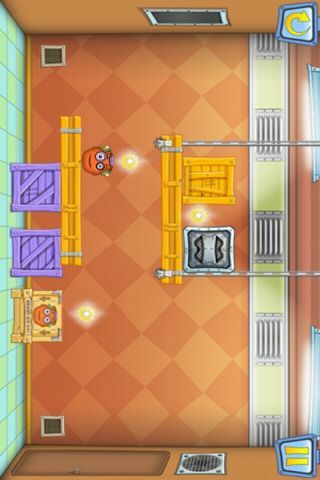 The game is underlined with fun (sound) effects and well thought-out details. I also appreciate that levels auto save, a feature which makes perfect sense for any time killer app. You can also choose your own game mode. One of said modes features two little robots (Roby plus his romantic lead). 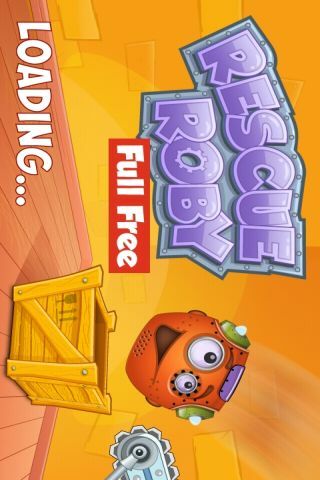 I like Rescue Robi FULL FREE quite a lot for whenever I have a few minutes to spare. Rescue Roby FULL FREE's controls are great. The sound can be adjusted in the main menu which is also where you can buy a full version. Hit play to access the various game modes, and then get cracking at playing your way up through the levels (they're unlocked bit by bit). The game's graphics are perfectly nice but I didn't really get excited about them. Rescue Roby FULL FREE did well in this category. It loads quickly and was smooth and solid throughout our test runs. 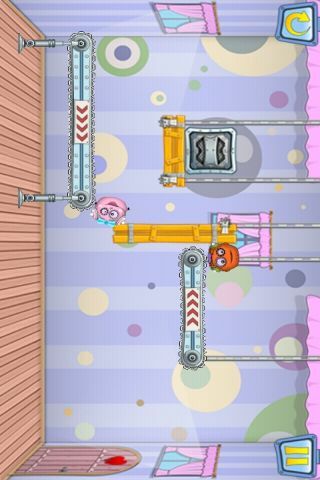 Rescue Roby FULL FREE is free of charge and it's a fun game that's nicely made. A perfect game for those in-between moments, and one I am happy to award five full stars to.